Florida restaurant inspectors recently found more than a dozen violations in the kitchen at President Donald Trump's private club, Mar-a-Lago. 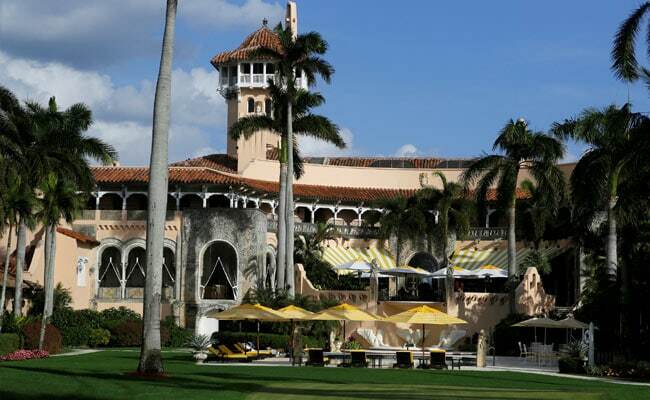 Inspectors from the Florida Department of Business & Professional Regulation cited at least 13 violations in reports from a January 26 inspection at Trump's "winter White House" in Palm Beach, the Miami Herald reported. The violations included several that were categorized as high priority, which "could contribute directly to a foodborne illness or injury," according to the agency. In two kitchen coolers, the inspectors found that meats were not being stored at the proper temperature and that fish served raw or undercooked had not "undergone proper parasite destruction," according to the reports. The violations were corrected while inspectors were on-site, according to the reports. The general manager at Mar-a-Lago could not immediately be reached for comment. Nearly every weekend since his inauguration, Trump has spent time at Mar-a-Lago. It is a members-only facility, "with those who pay the steep initiation fee suddenly gaining occasional proximity to the president and, at times, his Cabinet and senior staff," The Washington Post's Philip Bump wrote. The trips have called into question the cost - which could amount to millions of dollars - of protecting the president. U.S. Coast Guard commandant, Adm. Paul Zukunft, said Wednesday that the Coast Guard has not received extra funds to cover Trump's protection during his frequent trips to Mar-a-Lago, The Post reported. During these visits, the Coast Guard dispatches helicopters, patrol boats and anti-terrorism teams for round-the-clock patrols, Zukunft told reporters.